Packaging entries highlight the latest trends and innovation in the 2017 Foodservice Packaging Awards held by the Foodservice Packaging Institute and QSR magazine. PDQ’s packaging suite won Foodservice Package of the Year for Excellence. This year’s entries made it so difficult to choose the ‘best of the best’ that, for the first time ever, the judges selected two Package of the Year award winners. In a competition known for its Package of the Year award, judges presented PDQ and Pan Pacific Manufacturing as dual winners in the 2017 Foodservice Packaging Awards, held by the Foodservice Packaging Institute and QSR magazine. Pan Pacific Manufacturing’s Seal 2 Go tamper-evident carryout bags won Foodservice Package of the Year for Innovation. 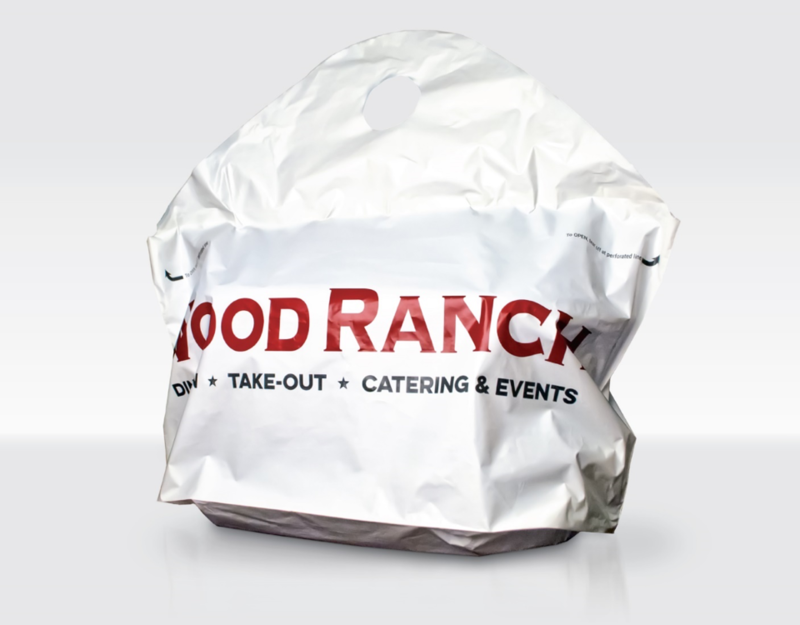 The easily sealable bags take advantage of a growing need in a simple format, allowing restaurants to add safety to the delivery process without additional labor. Judges felt the design could have far-reaching usage throughout the industry, particularly as more and more restaurants depend on third-party services for food delivery. PDQ’s packaging suite won Foodservice Package of the Year for Excellence. 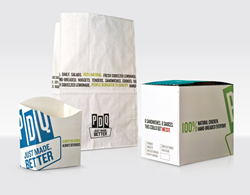 Using packaging designed and manufactured by CMI Pack, graphics with big, bold styles highlighted PDQ’s color palette, messaging and graphics to tell its brand story. Judges felt the different pieces created a cohesive packaging message while using every available print surface — even the inside flaps — for witty content that promotes social media engagement. For 17 years, the trade association and trade publication have partnered in these bi-annual awards to recognize innovation in the foodservice packaging industry. Almost all of this year’s entries reflected growing trends in both the packaging and restaurant industries, including tamper-evident products and interest in molded fiber products. Judges reviewed entries based on excellence in brand delivery, convenience, manufacturing, new menu launch and the “wow” factor. Top award winners in each of these categories were PDQ, International Paper, Eco-Products, Chef Pack and Pan Pacific Manufacturing, respectively. Award recipients were recognized during FPI’s fall conference and are featured in the November issue of QSR magazine. A full listing of award winners may be found on QSR’s website. Pan Pacific Manufacturing’s Seal 2 Go tamper-evident carryout bags won Foodservice Package of the Year for Innovation. Founded in 1933, the Foodservice Packaging Institute is the trade association for the foodservice packaging industry in North America.